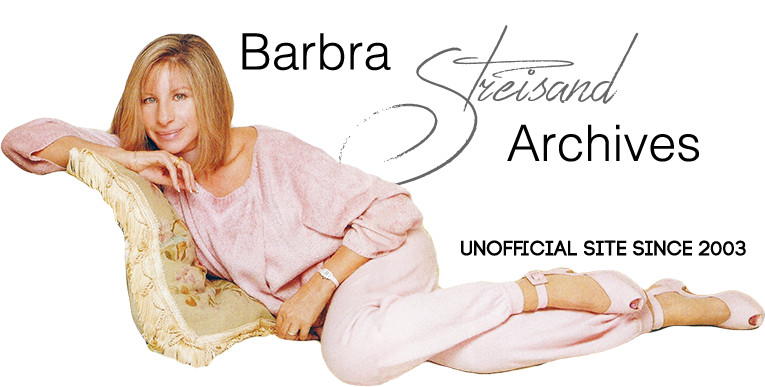 There are at least two criteria that one probably uses these days in evaluating the vocal talents of Barbra Streisand: How does she sound in comparison to other major singers, and how does she sound for a 70 year-old woman? Judging from her Friday night concert, the answer, on both counts, is "amazing." The lady's been a first-tier celebrity for nearly six decades, so it was only natural to wonder if she's now content to coast. But she's rarely sounded better. She still has the power and desire to belt out numbers like "Don't Rain on My Parade" and "My Man" with the ferocity of a hungry lion. Yet, she knows when to pull back and caress tender melodies such as "Bewitched, Bothered and Bewildered," and "My Funny Valentine." Some of her albums of late suggested she'd fallen victim to overstatement. But her sensitivity to lyric here and her willingness to put herself at the service of a song made old hits -- such as "The Way We Were," "Evergreen" and "People" feel new. She remains an actress who sings. Standards that we've heard all our lives sound new when they come from her because she seems to be discovering the emotion behind them for the first time. She wisely shared the stage with other powerhouses. The Italian classical-pop trio Il Volo was in great vocal shape. The members demonstrated flip sides of their gifts with an overwhelmingly rousing "O Sole Mio" and a passionate but understated "Smile," which gave Streisand the opportunity to show she can blend in as easily as star. Trumpeter Chris Botti helped magnify the evening's emotional bent. You never got the feeling that Streisand's co-stars were mere filler. The diva re-created her famous 1963 Judy Garland duet with her sister, Roslyn Kind. Streisand sang "Happy Days Are Here Again," while Kind countered with a slow, moving "Get Happy." Perhaps the biggest surprise was the unveiling of the sweet, angelic crooning of Streisand's 45 year-old son Jason Gould. The man's proved himself a capable actor and creator of short films, but there hasn't been much mention made of his vocal prowess. Between Roslyn, Jason, matriarch Diana (who was a skilled amateur opera singer) and Babs, the Streisand family circle has been unfairly blessed. The between-song patter was kept to a minimum, but what there was was pleasantly chummy. One sour note: Streisand's brief ridiculing of the Republican Party brought a mixture of loud applause and boos. She acknowledged that music transcends politics. It's just too bad she didn't follow her own advice. But the final number -- Leonard Bernstein/Richard Wilbur's "Make Our Garden Grow" (from "Candide") blended with Bernstein/Stephen Sondheim's "Somewhere" (from "West Side Story") -- made it easy to forgive. Streisand's poignant rendering of the song's spirit, backed by her supporting artists, more than two-dozen choir members and the 30-piece orchestra, gave a fleeting glimpse of what heaven must be like. If that sounds like gushing, well, the kid deserves it; not just for her talent, but for how well she's nurtured it. Rarely has anyone done so much with so much. Before there was Lady Gaga, Beyonce, Britney Spears and Madonna, there was Cher, Bette Midler and the incomparable Barbra Streisand, and the Emmy-, Grammy-, Oscar- and Tony-winning superstar was the epitome of talent and elegance in her Back to Brooklyn tour stop at MGM Grand Garden Arena on Friday night. The evening’s big and looming question was would Streisand’s voice, at age 70, be strong enough to sing her classics and standards such as “Don’t Rain on My Parade,” “People,” “The Way We Were” and “Evergreen.” The answer, in a nearly 3-hour concert, is a resounding yes. She (jokingly) told her son Jason Gould that her voice was “hoarse” after he complimented her, but the truth is that her voice never faltered. That voice -- like buttah, a big stick of buttah -- was strong, fragile, emotive and perfection throughout the evening solo, backed by a lush orchestra and in collaboration with Italian, teen popera sensations Il Volo (the boys are 17, 18 and 19), trumpet titan Chris Botti and “my pride and joy,” her son Gould. In the evening’s most emotional moment, Streisand paid tribute to longtime friend and collaborator Marvin Hamlisch, who passed away on Aug. 6 at age 68. She shared stories and photos of Hamlisch and her. He was her rehearsal pianist in 1963 and had to get coffee for the crew. Since she didn’t drink coffee, he was told to buy her a doughnut; he always bought her two. “He had the wisdom of an adult and the enthusiasm of a child. … This one’s for you, Marvin.” She performed “What I Did For Love,” “The Way We Were” and “Through the Eyes of Love.” “He was a singular sensation,” she summed up of Hamlisch. In the night’s most candid/humorous/relaxed/seemingly unscripted moment, Streisand answered questions written on cards by concertgoers while filing into MGM Grand. Highlights: A fan who traveled from Poland asked if she would tour Europe again. She replied that she loves Europe and never say never. Which movie of yours would you like to see a sequel? “ ‘The Way We Were.’ We tried for many years, but it never happened. … That would’ve been a wonderful sequel.” Will you sing “Evergreen”? Tonight is our 35th anniversary, and it was our wedding song. Streisand sang it for the couple in the second act. Toward the end of the evening, she told the audience, jokingly, that she wasn’t going to talk politics (after having talked politics, natch) -- “I’m not going to tell you how to vote” -- but then launched into a monologue about how one party believes in climate change and in curbs and laws to help the environment, while the other believes that it is a hoax and that FEMA and PBS should be closed; and that one party believes that a woman’s body shouldn’t be controlled by the government. Hmmm … who is Streisand voting for on Tuesday? Nothing against concerts with elaborate laser lighting, choreography and LED screens (Madonna, Spears and Beyonce are amazing performers onstage, and Swedish House Mafia, Calvin Harris and Tiesto are current EDM favorites), but Streisand proved that with a beautiful voice, an incredible catalog of music and an orchestra, you’ll have the audience and longtime fans under your spell to a T -- and that T is for talent. At Streisand’s concert Saturday night: Oscar winner Morgan Freeman, Caesars Palace headliner-to-be Shania Twain and husband Frederic Thiebaud, boxing legend and Las Vegas resident Mike Tyson and wife Kiki, casino resort mogul Steve Wynn and wife Andrea Hissom Wynn, British theatrical director David King and entrepreneur and philanthropist Larry Ruvo and wife Camille Ruvo. But wait -- an encore! -- as the third hour approached. Streisand thanked her fans for staying with her through the years and attending the concert Friday night. Her sister Roslyn Kind, standing in for the late Judy Garland, and she performed “Happy Days Are Here Again”/“Get Happy,” and she capped her glorious night with “Here’s to Life.” Hello, gorgeous, here’s to life indeed. This was my fourth time seeing Barbra at the MGM Grand Garden. There was no drop curtain, but two screens on either side and one large screen hanging over the stage, which was only used for the You'll Never Know segment and the Funny Girl intro to Act 2 segment. The crowd was very well behaved and the love from the audience was obvious. Her political remarks drew obvious reactions from the Republican crowd, naturally, but she did limit them. I can't believe anyone who attends a Streisand concert would not expect her to voice her opinions just prior to a presidential election, but apparently many don't. She was in glorious voice, and Jason commented on that during their set, when Barbra remarked that she forgot how dry it is in Las Vegas. From the opening Clear Day number I could tell she was going to be in fine voice. Hearing her sing LIVE for 2 1/2 hours is so different from any recording, and knowing how she likes to change up the melody and phrasing of a song, even Evergreen and People seemed fresh again. Lost Inside of You with Chris Botti almost seemed like a different song, as she sang notes I would never have thought possible. I remember thinking that this is what it could be like hanging out with the engineers while she's in a recording studio: you get to hear all these different takes on a song. What I noticed more than anything was how at home she was on the stage now, very relaxed and in complete control (naturally) of the audience, even when the few shout outs of "Love you Barbra" reached her ears. There were a few highlights for me personally, especially when she chose my question during the Ask Barbra segment. I told her that I loved the songs she had written in the past, and wondered if she would pen more. I signed it "A fan of 40 years" even though when I count back now, it's really 46. Her response was that it was a sweet comment, and that you never know when she'll write another. At least I think that's what she said --- I was so shocked and the guys around me were so excited for me that I barely heard what Barbra was saying! A couple of girls next to me took my picture and asked my name so they could write it all down in their diaries. lol. That's a Barbra fan for you! Though I've saved many YouTube videos to my computer from this tour, I haven't watched any, because I didn't want any spoilers. However, from the bits and pieces I did see, I can tell you this about her Las Vegas appearance. The cape was absent from the show. She didn't sing You're The Top, which I had read was one of the songs early on in the tour. From my seat, which was 20 rows from stage right and up a bit, I imagined she was the young Barbra from the early 70s. The only giveaway were the giant screens, and her deeper vocal register. But her voice--- THE Voice---it couldn't have sounded richer and fuller of emotion. New Year's Eve 1993, The Millenium New Year's Eve Timeless concert, Barbra in Concert 2006 and last night. Last night she was better than ever. It was a performance to remember! Next weekend, outside under the stars at the Hollywood Bowl, and her last concert of this tour. I'm expecting.... well, who knows? But So Many Stars would be perfect!